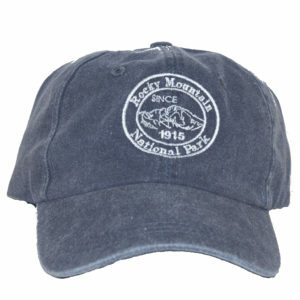 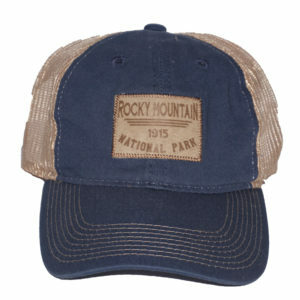 This Rocky Mountain National Park hat features a display of columbine on the front with cooling, navy blue mesh on the back. 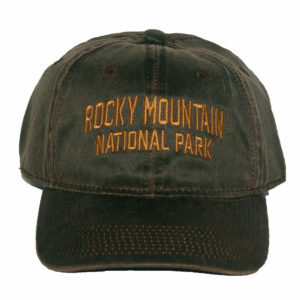 The state flower of Colorado, columbine can be found growing in shaded montane and subalpine forests, as well as in rocky alpine areas. 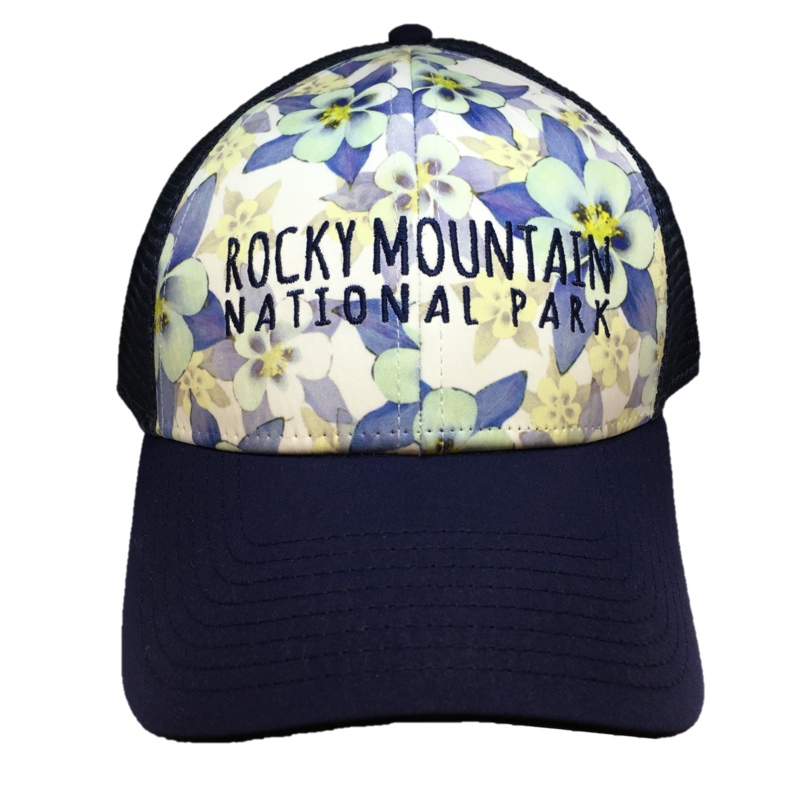 Blooming season begins in June at lower elevations and continues through August in alpine areas, bringing vibrant color to summer in Rocky. 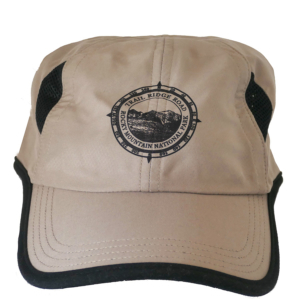 Adjustable, one-size-fits-all.